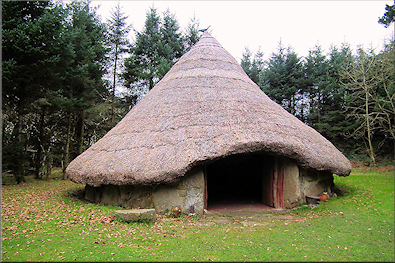 Around the late bronze age, from about 1200 BCE onwards, a new kind of dwelling came into being, becoming the common standard in the iron age. 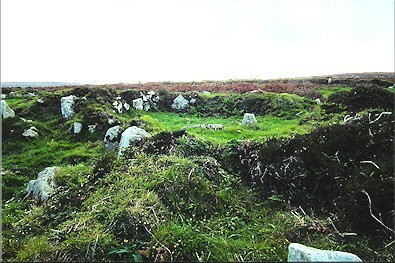 Round huts (hut circles) were made of a low circular wall on top of which were placed poles in a conical shape, with a thatched roof. 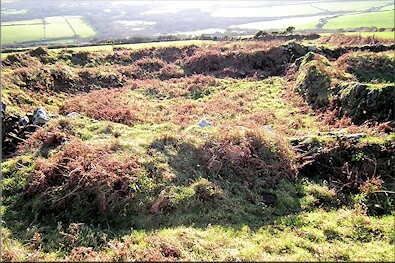 They had a fire in the centre. 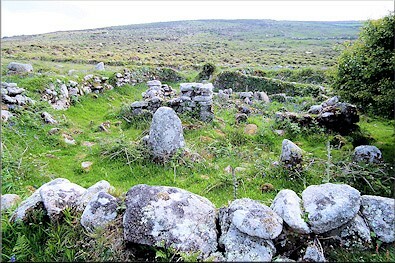 This was a family home, some round huts having alcoves serving as rooms. 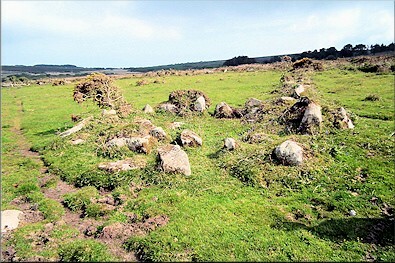 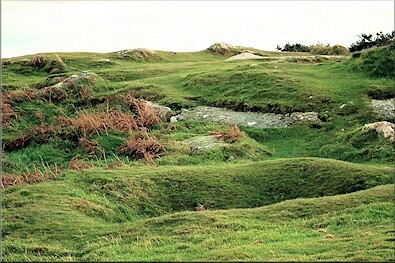 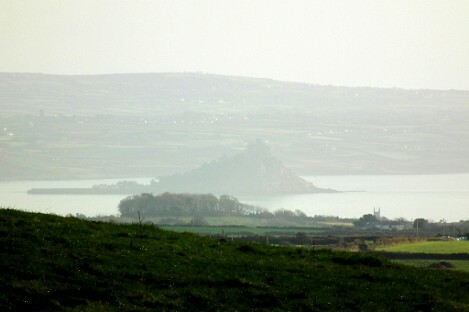 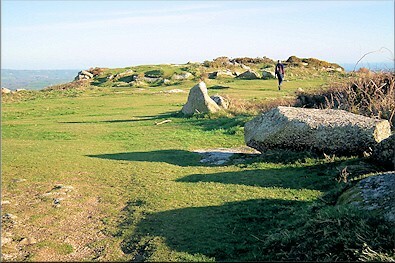 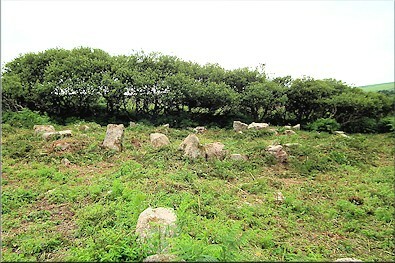 Reconstructions have been made in modern times, such as that at Bodrifty in Penwith. 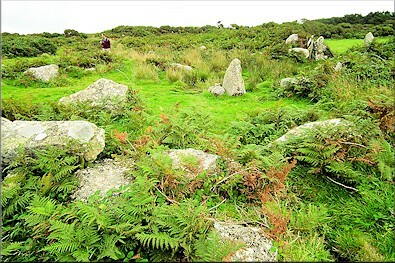 Sometimes these stood alone, sometimes in settlements, of which there are many around Penwith - some of the best examples being at Bodrifty, Bosullow Trehyllis, Bosporthennis, Goldherring, Lanyon, Sperris and Wicca near Zennor, on Gurnard's Head and on top of Trencrom Hill. 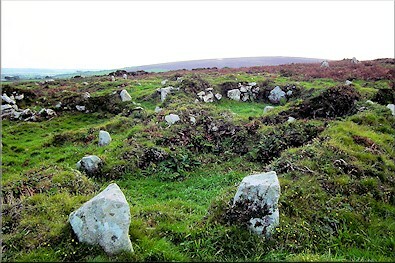 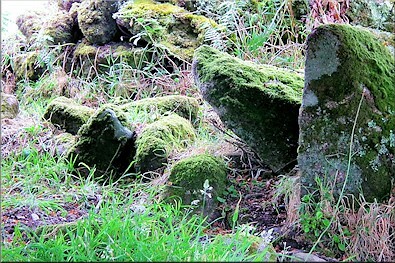 Most of these appear as piles of stones that often get lost in the bracken in summertime, but two, at Carn Euny and Chysauster, are well preserved and open to the public. 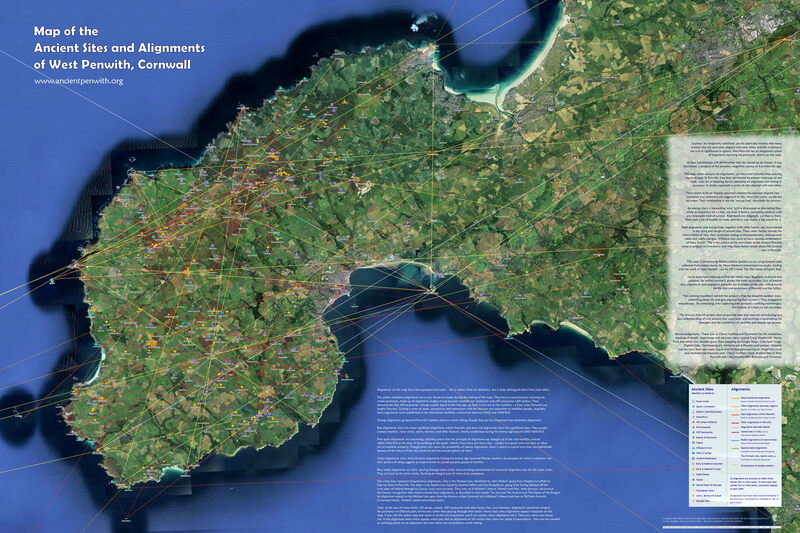 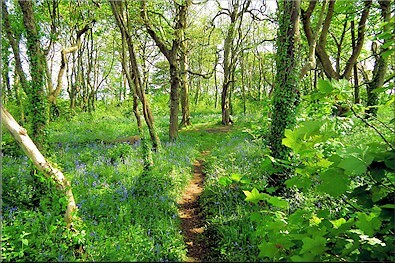 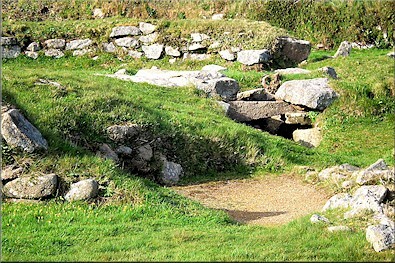 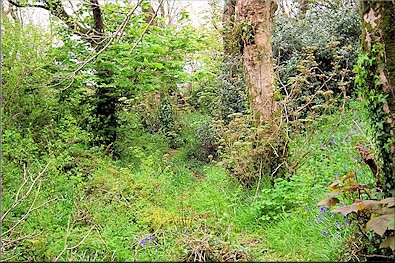 Over the years, CASPN, the Cornish Ancient Sites Protection Network, has done a lot to keep such sites well maintained and, more recently, the Penwith Landscape Partnership has extended the care that goes into ancient settlements around the peninsula. 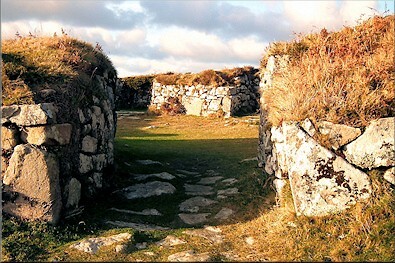 Bigger still were courtyard houses, a compound enclosing an open or partly-roofed courtyard, surrounded by several rooms with their doors facing inward, including a main room opposite the main door to the outside. 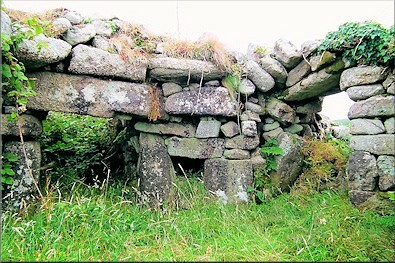 Courtyard houses are unique to West Cornwall, built to withstand the weather. 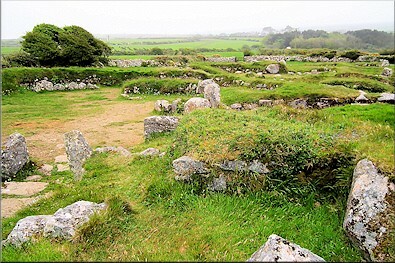 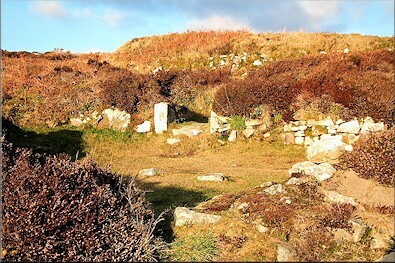 Carn Euny and Chysauster were villages of courtyard houses, and there were many more at sites like Bosullow Trehyllys, Mulfra Vean, Goldherring, Crankan, Nanquidno, Bosporthennis, Croftoe and Porthmeor.